George Bernard Shaw was an Irish playwright based in England. 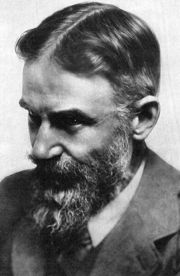 He had the unique honor of being awarded both a Nobel Prize in Literature and an Oscar for his play, Pygmalion. In this seance, Shaw answers the question of why he has lost his Irish accent. In the seance, he explains that the vast majority of people are psychic without realizing it. He discusses his writing and the messages of his plays' subjects.